Graphs are everywhere! 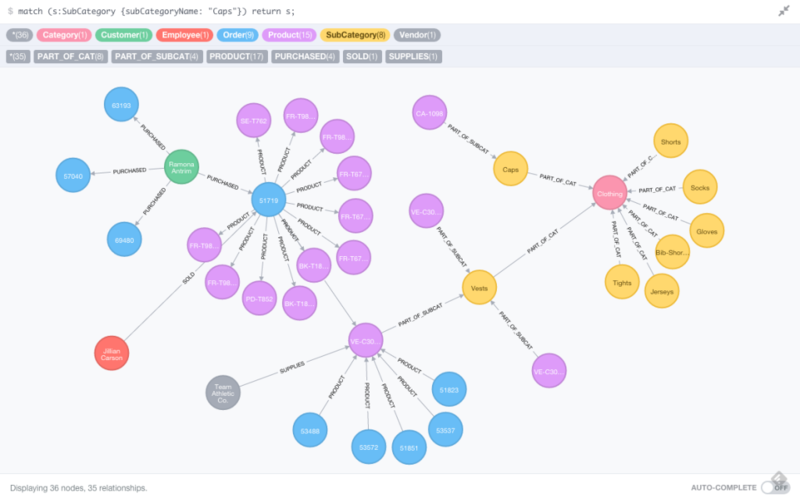 In my efforts to spread the word and inform SQL Server Professionals about Neo4j and learn how to take a relational database schema and model it as a graph… AdventureWorks was a no-brainer! Let’s explore how to import a subset of the AdventureWorks database from SQL Server (RDBMS) into Neo4j (GraphDB). But first some prerequisites. You should at least have a basic understanding of what is a property graph model and have completed the following modeling guidelines. Download and install Neo4j to be able to follow along with the examples. The AdventureWorks database is a fictitious company database that has existed since SQL Server 2005 as a means to show new functionality in each new version released. AdventureWorks has become a vital aspect of learning new features/constructs within SQL Server. For our demonstration I have decided to choose a subset of tables and select only offline sales transactions (OnlineOrderFlag = 0). A table name is a label name For further understanding read the following GraphDB vs. RDBMS. 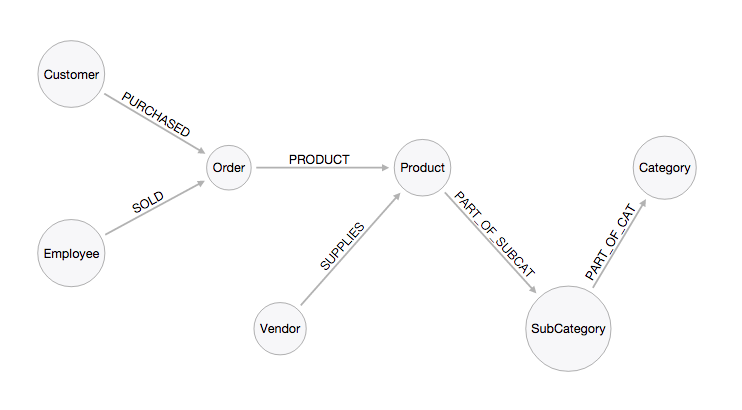 This article explores the differences between relational and graph databases and data models. In addition, it explains how to integrate graph databases with relational databases and how to import data from a relational store. The key difference between a graph and relational database is that relational databases work with sets while graph databases work with paths and relationships are first-class entities in a graph database and are semantically far stronger than those implied relationships reified at runtime in a relational store. Now that we have extracted data from the AdventureWorks database, will be using Cypher’s LOAD CSV command to transform and load the content of these CSV files into a graph structure. // List the product subcategories and categories provided by each supplier. // Which employee had the highest cross-selling count of 'AWC Logo Cap' and which product? // What is the total quantity sold of a particular product?